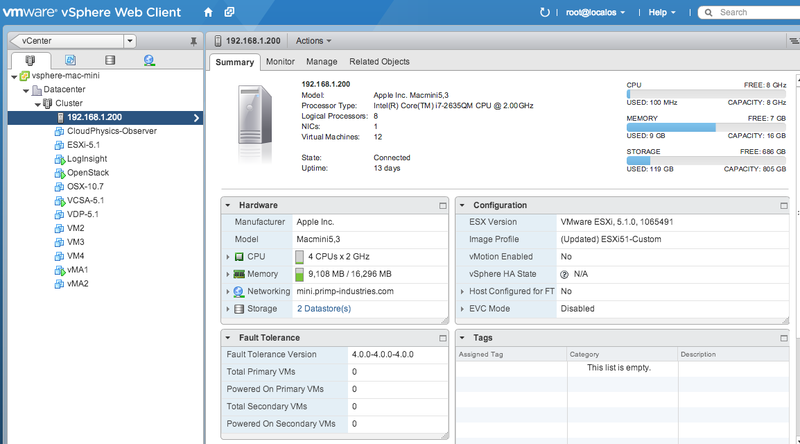 You are here: Home / Uncategorized / How to Quickly Get Started with VMware vSphere & OpenStack? Kenneth Hui recently published a number of interesting articles diving into the latest VMware vSphere integration with the OpenStack Grizzly release called OpenStack For VMware Admins: Nova Compute With vSphere Part1 and Part2. There has definitely been a lot of chatter around OpenStack lately and I agree with Kenneth, there is also a lot of confusion around the topic in general. Although I have not used OpenStack personally, one very important concept to understand is that OpenStack is really just a framework that allows you to build a Cloud solution that is comprised of the best of breed products that can then be plugged into the underlying compute, network, storage and management infrastructure. 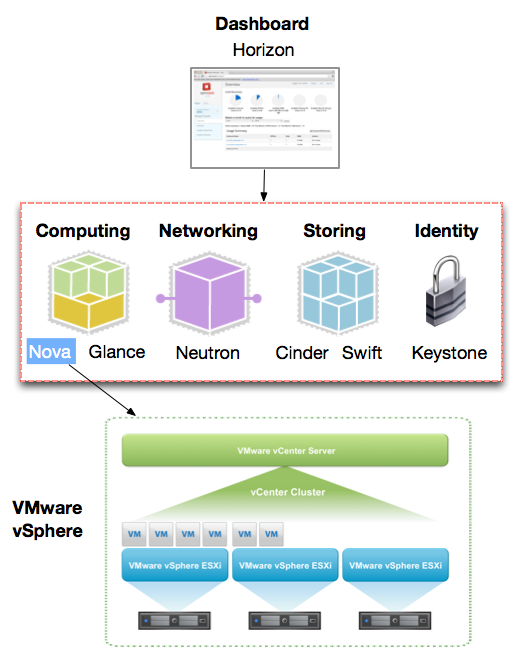 One example of this is OpenStack's Nova compute component which supports a variety of Hypervisor solutions including KVM, XEN and now also VMware vSphere. Another example is OpenStack's Neutron (formally Quantum) networking component which also supports a variety of networking platforms including the leader in this space which is VMware's Nicira NVP (Networking Virtualization Platform). Having said all that, since I have never worked with OpenStack before, I thought this would be a great opportunity to give OpenStack a test run with my vSphere home lab environment. With a quick Google search, I found an OpenStack Wiki guide for setting up VMware's Nova integration and I thought I should be able to just follow that. As it turns out, some of the commands no longer function due to some recent code changes in OpenStack and the instructions were also incomplete for a few steps. With the assistance of the OpenStack development team at VMware, I was able to get everything working and I wanted to share the details while the Wiki gets corrected. Here is what my vSphere inventory looks like and the nice about this is you can use an existing vSphere environment. As you can see I have my Apple Mac Mini running ESXi, which is also hosting my vCenter Server along with my OpenStack virtual machine. To confirm the software interface was created correctly, you can run the ifconfig command and you should see a "tapfoo" interface with the IP Address that you had specified from above. Step 3 - Now we need to create a file called localrc in the devstack directory with the following configurations listed below which will be used by DevStack to build and configure our OpenStack instance. The configurations in BLACK are required, where as the ones in GREEN are optional and I will explain those in a bit. 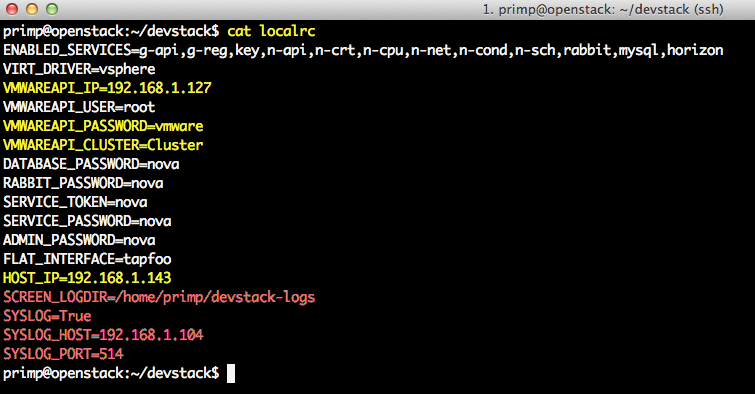 SCREEN_LOGDIR will log all the OpenStack logs to a directory of your choice. By default, DevStack will log to standard out and only visible through the Screen sessions of each component which is not very user friendly nor easy for troubleshooting. This process will take a few minutes depending on how fast your system is and the connection to download all the necessary packages. If everything was successful, you should see a summary about logging into your OpenStack instance and the URL for the Horizon UI as shown in the screenshot below. Step 5 - Go ahead and confirm you can access the Horizon UI by opening up a browser and pointing it to the IP Address of your OpenStack instance. Step 8 - To deploy a new instance of the image we have just uploaded, we will switch over to the Nova CLI and specify the Image ID from the previous step and run the following command which will deploy to our vSphere environment. Step 9 - We can continue to run "nova list" to view the status, but it would be more interesting to see this from the Horizon UI. 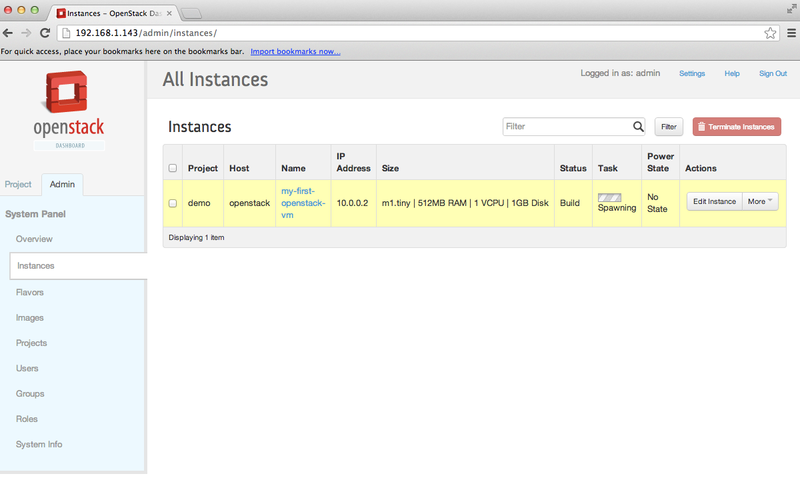 You can head over to the OpenStack UI and see the progress under the Instances tab. Once the VM is ready, we should see an IP Address assignment and the status set to ready and the VM should show powered on. To confirm that we have actually provisioned the VM onto our vSphere compute cluster, we can login to either the vSphere Web Client or vSphere C# Client and we should see our newly deployed VM running. 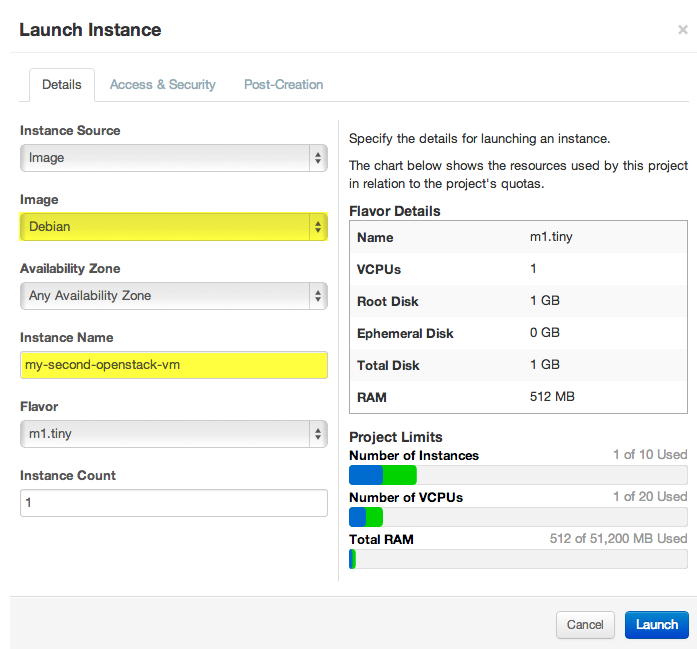 If you wish to deploy using the Horizon UI, you can go to Project -> Instances -> Launch Instance and go through the wizard selecting the image, specifying a name and configuration flavor and then click on Launch once you are ready to deploy. Step 10 - Once you are finished, you can run the ./unstack.sh command which will reset and clean up your environment and delete any images that were uploaded. Again, DevStack is not meant for running production workloads, but can be used for quickly testing or developing against OpenStack. 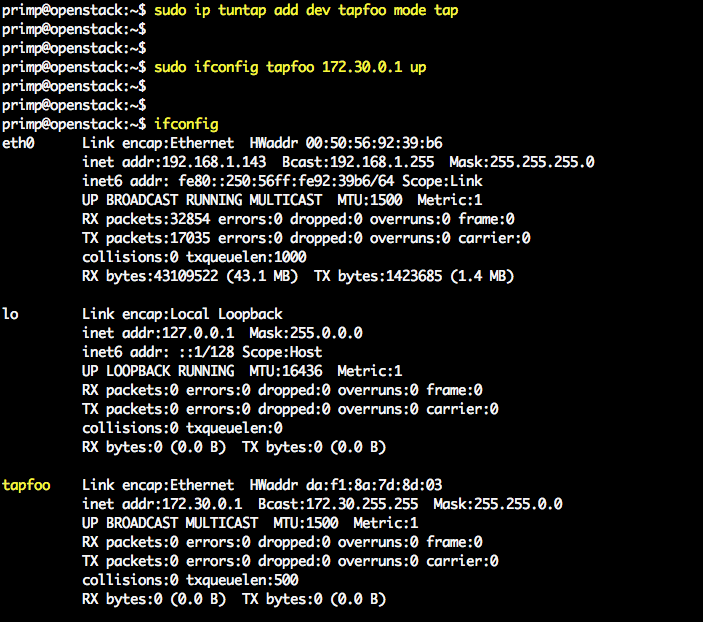 You can also view the consoles of each of the OpenStack components by using screen -x stack. 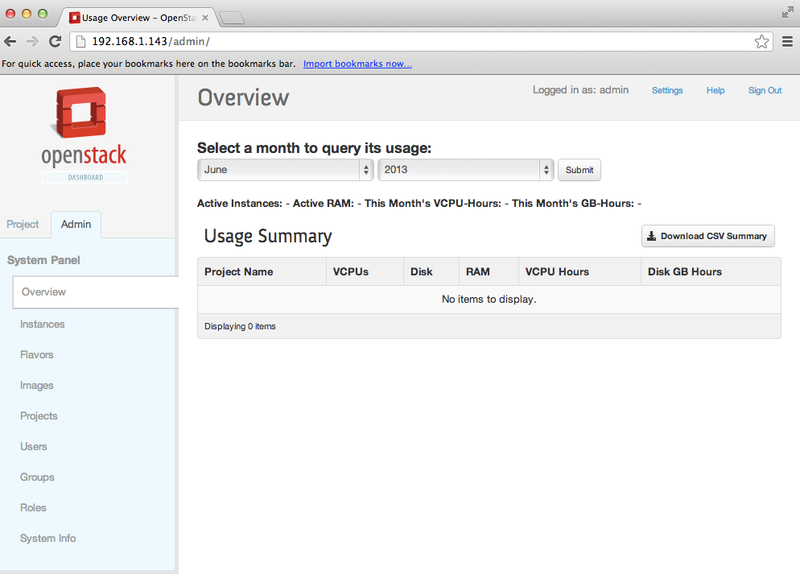 Using DevStack, you can quickly get a basic OpenStack instance up and running without too much hassle but this is not to say that OpenStack is easy or trivial to install. If this is your first time, I would highly recommend configuring your localrc to store the logs in a directory so you can either go through them if you run into any issues or more likely forward it over to an OpenStack expert to help you decipher. I personally had ran into a few issues and it was partially due to some errors in the Wiki, but troubleshooting can be like search for a needle in a haystack. 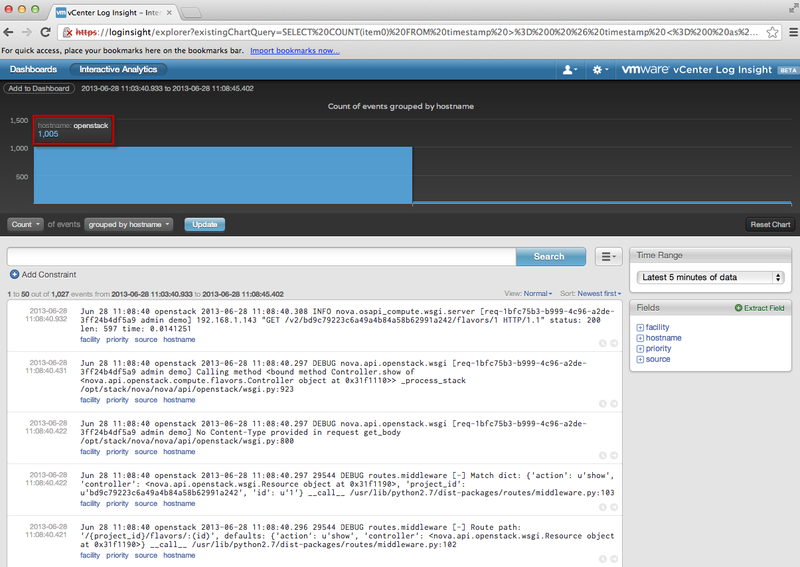 If we login to our vCenter Log Insight UI, we should now see our OpenStack instance logging remotely. Once you unstack and run stack, the configurations will default back to the original. Can we see your nova.conf file ? 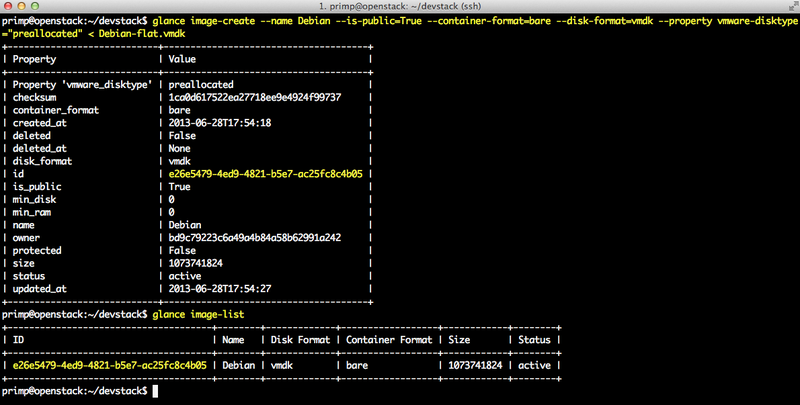 Folks, what is the username/password for the debian-flat.vmdk image? Is the vCenter password seriously stored in plain text in a flat file? Is there no way around this? I followed the instructions perfectly. 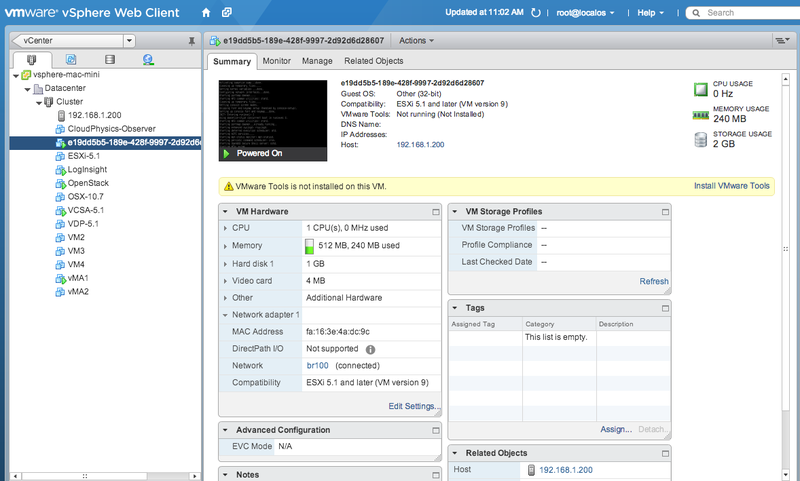 I got a VM up and running and can see it through vCenter client. I also see a private IP address assigned to the VM in Horizon. However, I don’t see any IP address assigned to the VM thru vCenter client. Port group is br100. can you integrate RDO with Vmware as well?, I mean It has Nova on the same node and other modules. Hi, now I have vcenter set up, followed the steps again and after i booted a new instance and did a nova list, i found the status of the new created instance is error and i did not see the new booted instance from the vcenter,either. i also can not find any info about vcenter/esxi in the openstack dashboard hypervisor panel. any suggestion for debugging？ how can i know if my nova has successfully hand-shaked with vcenter? Great write-up, currently using this to prove some stuff to my developers (you CAN use ESXi!). However, I think there’s a bit lacking on how to configure guest networking. Following these directions, I think that the 2nd interface on the OpenStack all-in-one VM on the br100 network is missing. Otherwise, how can the VMs that only have connections on br100 get NAT’d out to public IPs through eth0 on the OpenStack VM? hi i followed the instructions but was not able to boot the instance, is there any configuration need to be done on the guest networking in order to make the handshake between nova and vcenter successful? i followed the steps you have outlined and i was succesfully able to launch a vm and vm is also provisioned in the esx, checking the same by connecting to the vncenter. but when i try to access the logs tab and console tab associated with vm from the openstack dashboard. i get the following error. Unable to get log for instance “e32d5cc4-537e-4d8a-9ec3-100edf186689”. can you tell me what could be the possible reason? what am i missing here. Even I am facing the same problem can any of you guys tell us what has to be done to login to instance using Openstack console. I have configured security group to talk on port 22.
hello! 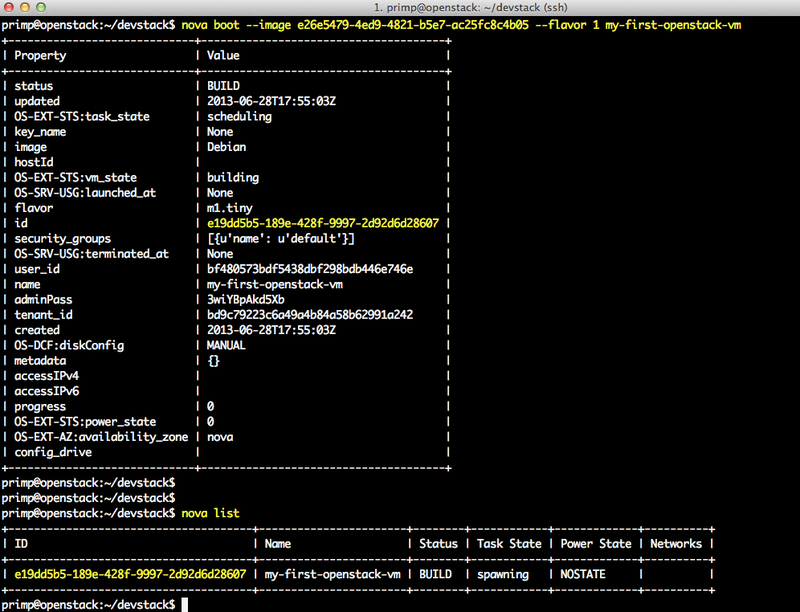 I want to know how openstack get vsphere remote console ,use VMRC api or vsphere api ? So it appears that nova is not accepting the SSL cert from the VCSA [vcenter appliance]. Hello is it possible on vmware essential plus lic kit. Hi, is it possible to update repos?